We conclude our FM week with a very special interview with two legends. 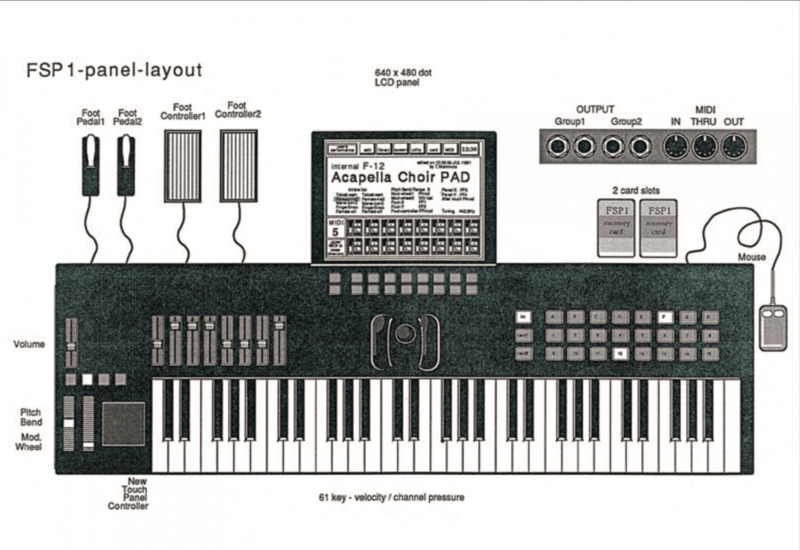 Check out this fascinating article from Yamaha Japan about the development of FM Synthesis from the beginning to the MONTAGE and MODX. FM Week continues! 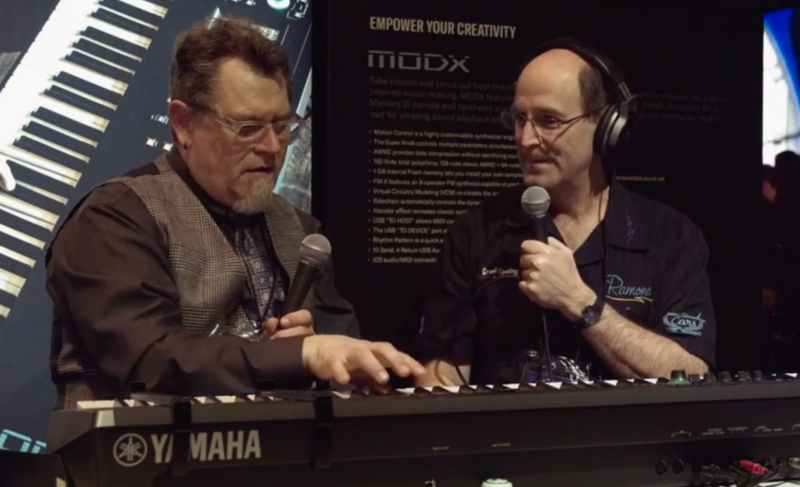 Check out our Winter NAMM 2019 interview with Manny Fernandez. Dr. Manny Fernandez's epic 5 part series ends with cool Super Knob programming tips and one last pun. 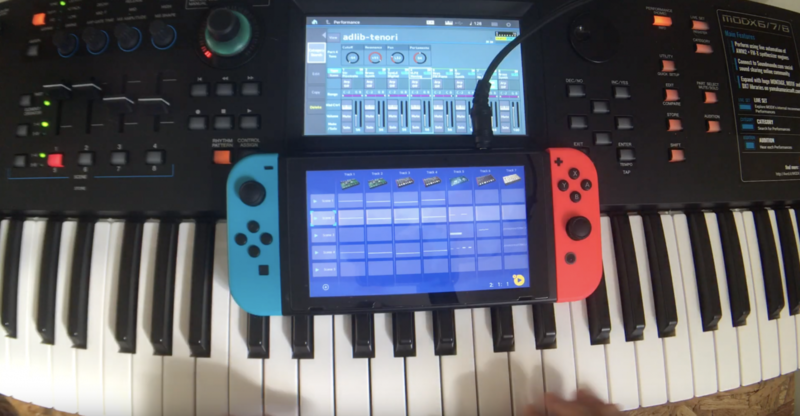 Check out this cool video by Scott Brackett jamming with the MODX and a Nintendo SwitchTM! Manny's FM-Xpert #3: "It's Just a Phase, Man. " Manny's FM-Xpert #2: "I'm Fixing a Hole Where the Timbre is Thin..."
The second article in Manny Fernandez's FM-Xpert series continues with a great study in filling out an FM-X sound. This advanced tutorial will help you add fullness and detail to FM-X sounds in your MONTAGE and MODX! Manny FM-Xpert 1: "Acoustic Eccentricities and Stuff"
Manny FM-Xpert 3: "It's Just a Phase, Man"
Manny FM-Xpert 4: "The Envelopes, Please"
Manny FM-Xpert 5: "Everybody's Doin' the Knob-O-Motion"
Filling out our piano sound: In the first part of the FM-Xpert examples series, I broke down in detail using 4 of the 8 Parts in our FM-X Performance to create the body timbre, the overtone quirks of the lower and upper registers, and the hammer attack noise and ‘thunk’ of an acoustic piano. But those basic building blocks left us with a timbre that was ‘thin’ and missing some significant harmonic content. In this article I’m going to address the ‘timbral holes’ in our FM-X Piano and use the remaining 4 Parts to add additional components for the missing harmonics in order to fill out and ‘warm up’ the sound to replicate the rich & full dynamic characteristics of the piano. So, let start fixing the holes where our timbre is thin, to keep our ears from wandering…. Part 2 is used to warm up and fill out the basic Part 1 Piano timbre, and I’ll get to it in a moment when discussing the Insert Effects. I’ve used Parts 3 & 4 to give a multitude of 2 Op Stacks combined and blended together to generate additional body and high harmonic content. You may wonder why so many 2-Op Stacks – that’s 8 Stacks in two Parts. The short answer -- the lower register of a piano has a LOT of bright upper harmonics that behave very ‘linear’ in regards to volume & brightness with velocity dynamics, which is not how FM behaves. The longer, geeky answer is that harmonic creation is very non-linear, dynamically speaking, in FM because of Bessel Function behaviors. Quick technical detour -- To get more & brighter harmonic content in FM, we increase the Modulation Index, which is the output level of the Modulator Operator input to the Carrier Operator. However, the math of the FM algorithm dictates that the relative amplitudes and the phase of those various harmonics will change in a non linear manner with the Index. Thus a waveform that we’ve made with nice ‘integrated’ harmonic amplitude relationships can literally ‘disintegrate’ with the Modulation Index changes, resulting in what we hear as ‘holes’ or ‘voids’ in the harmonic series – this is the classic FM characteristic that people have historically described as ‘thin’ or ‘digital’ sounding, which sometimes is really cool and what we want for some sounds – but which is definitely not what we want to maintain the rich & full dynamic harmonic integrity of our piano timbre. With more Modulator stacking and branching you have in your algorithm, along with the higher Frequency Ratios used to get those high harmonics, the more complicated it gets. Thus to get a ‘linear’ dynamic response I decided to mix together those eight 2-Op Stacks available in Algorithm 67 from 2 Parts. Each Stack has different Operator Ratios and Waveforms, each adding different harmonic spectra components in the mid, upper mid, high, and upper high harmonic range, etc. Then the relative amplitudes of each harmonic range are controlled by straightforward mixing of the Carrier Operator Levels. Thus, we don’t have to worry about the Modulator Index/FM math issues. Additionally, instead of using much Velocity Sensitivity for the Modulator Op levels (i.e. Modulation Index) for dynamic brightness I’m using velocity control of Filter cutoff to get the appropriate linear dynamic brightness response and prevent the timbre from ‘disintegrating.’ Essentially, it’s using a hybrid combination of additive and FM synthesis concepts. I’ve also used the Phaser Insert Effect as a trick to alter timbre for Parts 2 & 4. Now, I mentioned previously that certain changes in harmonic phase can make an FM timbre fall apart, so why use a Phaser? The (grossly) simplified reasons are Phaser parameters do not change with velocity dynamics, and with the Phaser Insert Effect the phase of the entire waveform as a whole is uniformly altered by the effect, not individual harmonics within the Operator groups as occurs in the FM synthesis Bessel Function domain. Thus, the Phaser effect with values of 0-5 for the Depth actually becomes a simple tone controller, without the waveform harmonic ‘disintegration’ issues (BTW - the next article, “It’s Just a Phase, man…” will be a deep dive into FM phase phenomena). The overall timbre of the sound can be altered by simply tweaking the Manual, Feedback, Stage, Mode and Color parameters. Play around with these Parameters of Insert Effect A for Parts 2, 4, 7 & 8 to see how they shape the timbre, without damaging the dynamic response. To look how I’ve approached the velocity dynamic hammer attack and high harmonics in the upper register, Select Scene 7 to hear Part 6 in isolation. The basic philosophy is the same as what was done with Parts 2, 3 & 4. 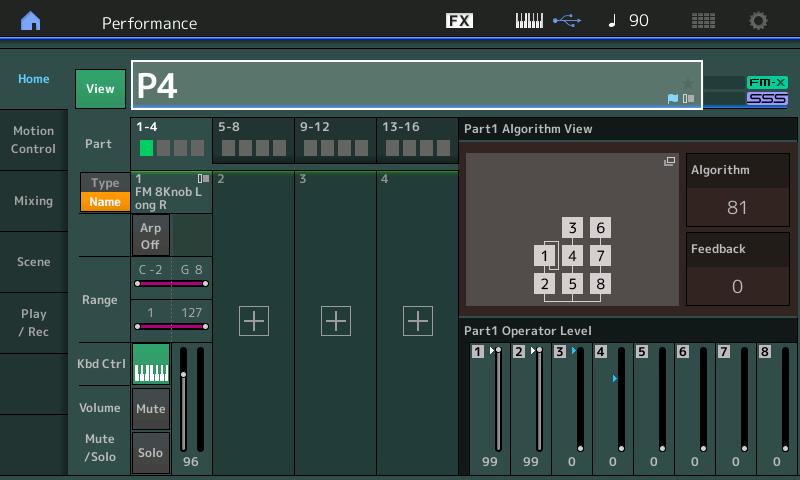 Part 6 fills out the timbre along with adding additional ‘tuned percussion’ style attack transients, again using Algorithm 67 with the four 2-Op Stacks. Ops 1 & 2 create a basic sawtooth wave type timbre to warm up the sound. Then I’m using Stacks 3-4 and 5-6 to create wide-range velocity dynamic marimba/vibe type of tuned percussion harmonics for the upper register notes. 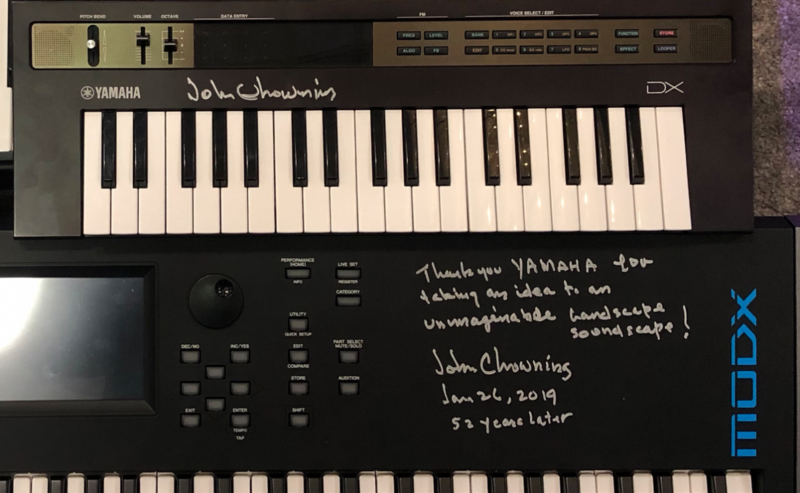 Ops 3 & 6 are in the Fixed Freq mode, with the Pitch/Key parameter set to 86 and 31 respectively, to enhance the inharmonicity in the attack playing up the keyboard to help better approximate those quirks of upper piano notes mentioned in Part 1 of the article. Ops 7-8 add in some more key ‘thunk’ transients. 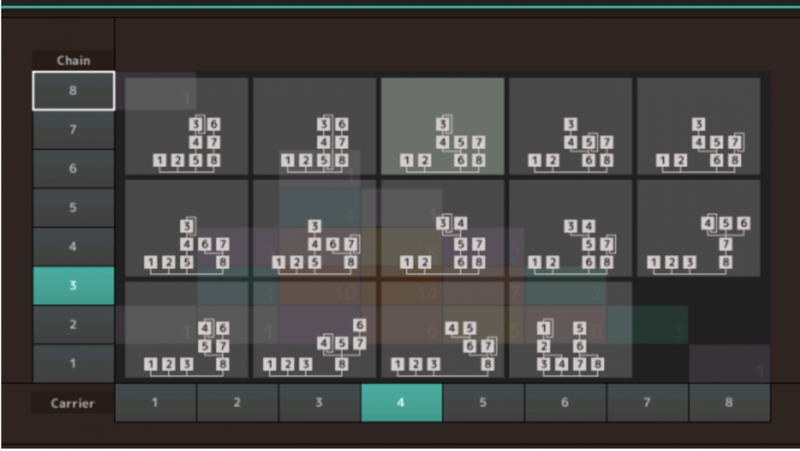 Then this Part is using the Chorus insert effect for more detuning/thickening. Plus, all these 2 Op Stacks use minimal Modulator velocity sensitivity. Filter velocity control of the Part and velocity control of the individual Carrier levels of each of the various mid, upper mid, high, and upper high harmonic component Op Stacks is used instead for dynamic brightness that prevents the FM harmonic ‘holes and voids’. This gives the final sound a full and ‘integrated’ harmonic behavior across the dynamic range. The sustain pedal subtleties in the sound are enhanced by the use of the Damper Resonance Insert Effect on every Part. The final timbral tonal tweaks and ‘sonic space’ enhancements make use of the Stereophonic Optimizer Master Variation Effect, the Master EQ and the Master Reverb. Whew ! Finally go back to Scene 1 to play and enjoy the fully assembled acoustic Piano sound. 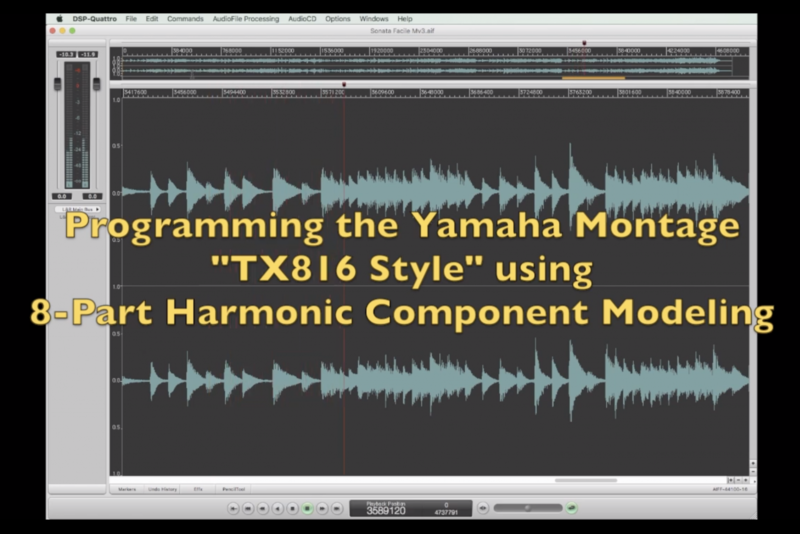 Wrapping up, these first two articles examined the concept of Harmonic Component Modeling and using discrete groups of FM-X Operators to recreate a specific portion of the overall sound “TX816” style. Using the Montage’s Filters for controlling dynamic harmonic behaviors minimizing the typical quirky “FM sound” from using too much Modulator velocity sensitivity. We then used additional 2 Op stacks to create additional components to fill out the timbral holes in the sound that result from those same FM math quirks. We used non-integer Operator Ratios and Fixed Freq Mode Operators to recreate real instrument “Acoustic Eccentricities” and synthesize “Stuff” in our sound. Finally we touched on how the Montage DSP and Effects can be used as timbral shapers to tweak and refine our sound without diving back into the FM parameters. Also, check out the additional Performances “MF.HCM Piano Ex2”, “MF.HCM Piano Ex3” and “MF.HCM Piano Ex4SA” to hear tonal variations of the upper and lower registers of our Piano sound, achieved by tweaks to various Ratio Frequencies of some Operators, along with EQ & Phaser Insert Effect tweaks. Check out the previous article in the series here. Ready for next lesson? Next Up -- “It’s just a Phase, Man…” here! Want to share your questions/comments? Join the conversation on the Forum here. 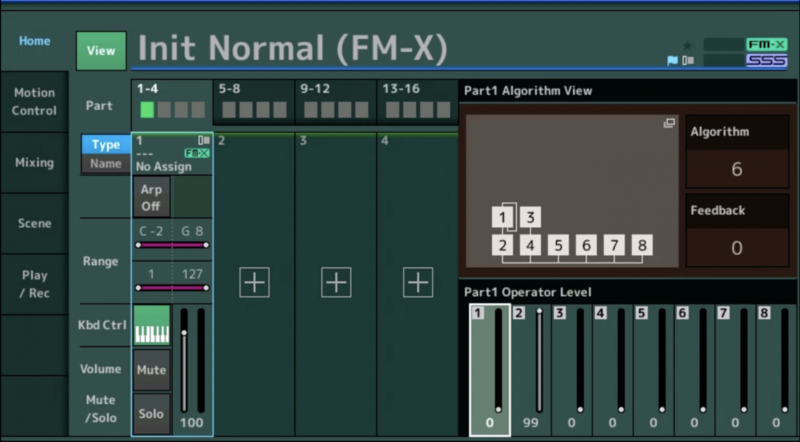 In Part 4 of "Mastering MODX: An FM-X Exploration" we take what we've learned in Parts I-III and bring it all together! Real time control over FM is one of the cool features of MODX. 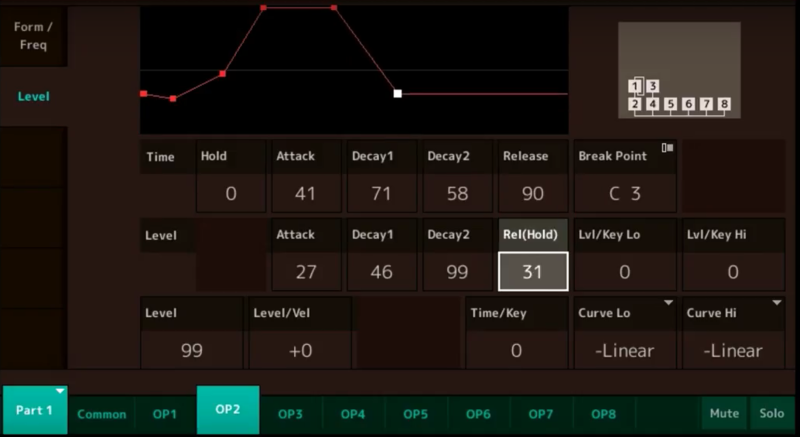 Part II of "Mastering MODX: An FM-X Exploration" begins where Part I left off and dives deeper into the details of real time control MODX mastery. Check out Moessieurs and this great analysis of Easy Sounds "FM-Xperience". 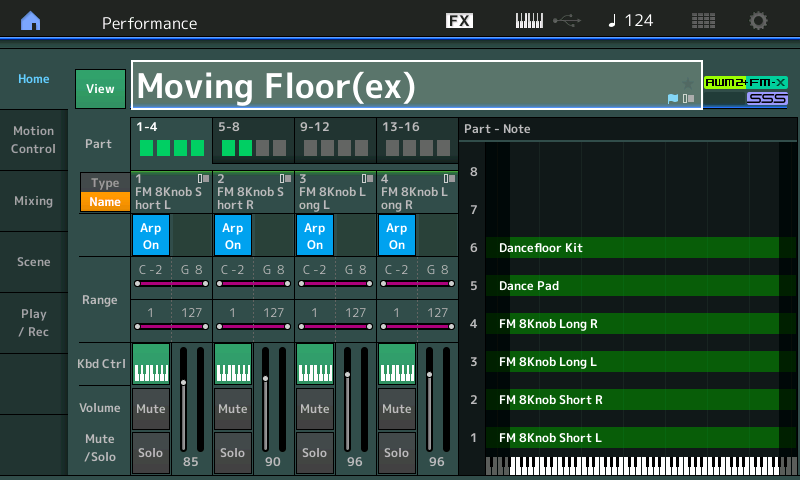 Want to learn more about the FM-X engine inside MODX? This article is a great place to start! More on FM-X for MONTAGE and MODX owners from Moessieurs! 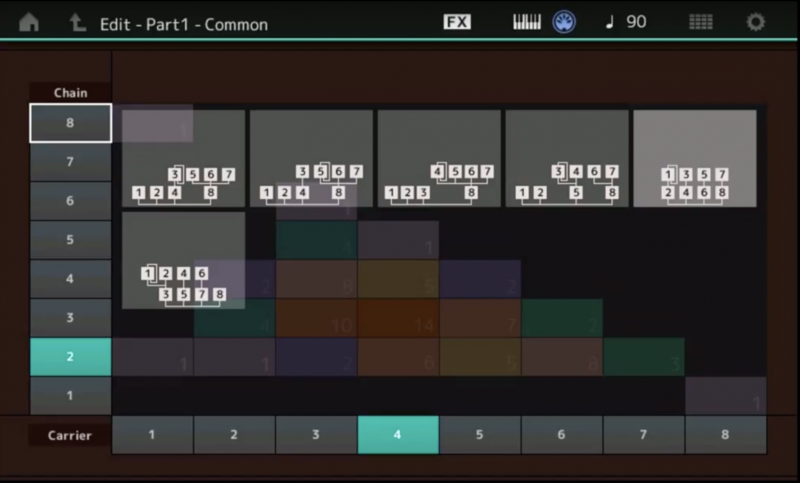 Today's Moessieuers Mondays features a nice introduction to FM Synthesis! Continuing with our "Spotlight on Richard Devine" theme, this week's Synthbits is a great interview from with Richard about sound design with MODX from Synthtopia. The DX7 was the sound of the 80s. Enjoy this way back Wednesday flavor of Synthbits! Mastering MONTAGE: Dom Sigalas Creates a Deep House Bass with FM-X! Want to create a great synth bass sound with MONTAGE? 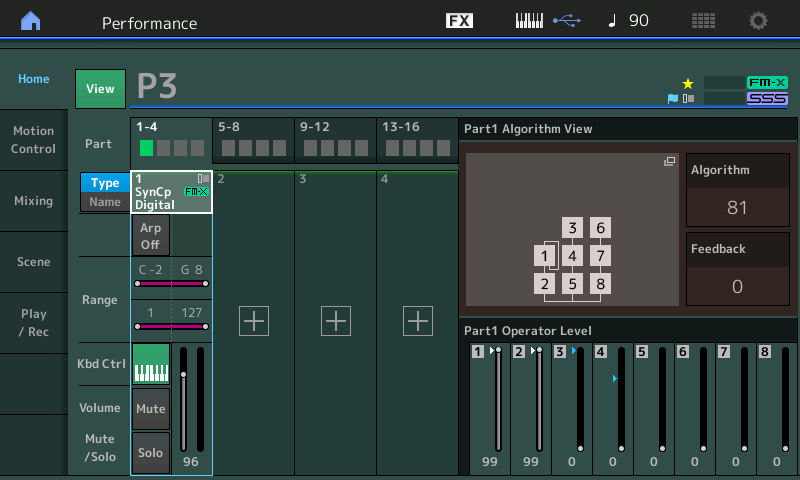 Dom Sigalas shows you how to do it using the FM-X Engine! Welcome to the second article in the Manny Fernandez FM-Xplorations series! 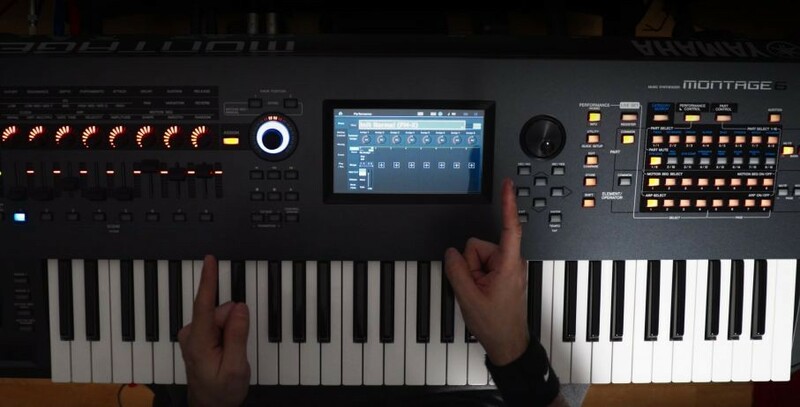 A longtime FM programmer - contributing sounds to the DX7II, SY77, SY99, FS1R and DX200 - Manny has lots of tips and tricks to share in this highly informative series! The MONTAGE Music Synthesizer evolved from a long line of remarkable musical instruments like the legendary DX-7. In Part 4 of this series, we are putting it all together!